The Northampton Sight Centre is home to our Head Office, helpline and admin support, community team and Northampton Resource Centre. 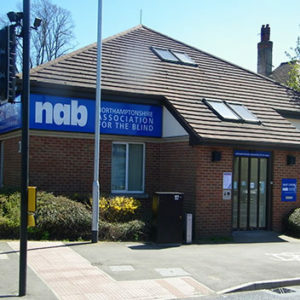 We also have our recording studios on-site for Northampton Talking News and our Transcription Services. 01604 719193.For calls outside of office hour please leave a message on our answer-phone and we will respond as quickly as possible. You do not need to be registered blind or partially sighted to receive our help. We help anyone who is encountering sight loss, so whether you have a little amount of sight loss or quite a lot - get in touch with us.